In need of professional Bellingham plumbing services? Contact the skilled professionals at Eagle Plumbing & Heating at (360) 318-9999. Click here to save on many of our valued services. If not caught early plumbing issues can create serious problems for homeowners, potentially damaging property and causing household utility bills to spiral out of control. Homeowners must remain knowledgeable on the ways to spot a problem and contact their trusted plumbing company immediately in order to remedy the situation. The expert professionals at Eagle Plumbing & Heating are always available to answer your questions and address any concerns you may have. We also offer prompt and affordable maintenance, repair, and installation services to the residents of Bellingham and the surrounding areas to ensure that your plumbing systems are always functioning at their best. 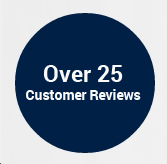 To read reviews from other customers in your area on our exceptional services, click here. What are some common signs that it is time to replace your toilet? If you have an older toilet that seems to be clogging continuously, it is likely time to have a more reliable unit installed. Certain minerals and other obstructions can build up over time and cause blockages in your system. In many causes replacing your older toilet will be less expensive than the constant repairs required to keep it functioning. Another problem that requires the immediate attention of a certified plumbing professional is if you begin to notice cracks on your toilet. Even the smallest cracks can result in sudden flooding, causing damage to your home and ultimately leading to more expensive repair and replacement costs. An older toilet uses up a lot more water when it is flushed, which raises your monthly utility bills. Installing a newer and more efficient unit will save you a significant amount of money over the years. Additionally, some broken components are hard to locate and the best course of action may be to replace your entire unit. If your toilet is in poor condition or you simply want to upgrade to a more efficient and aesthetically pleasing model, our personable staff can provide you with a list of options tailored to your specific needs and budget. Tankless water heaters are a popular option for those looking to invest in a new system for their home. Switching to a tankless water heater has a positive impact on the environment and will help save you money on your monthly utility bills. With a tankless system, water heats up instantly and does not have to be stored for an extended period of time before being used. Tankless units use less energy, because they only run when needed, instantly delivering an endless supply of heated water to all the fixtures in your home. Tankless water heaters take up very little space and can be mounted virtually anywhere. Fewer impurities are introduced into your water through the use of a tankless system making it much safer and cleaner to drink. While the initial installation cost of a tankless water heater may be a bit more when compared to a traditional unit, you will see tremendous savings in maintenance and energy costs over the long term. What are the benefits of owning a well pump? Well pumps offer numerous benefits for the average household. Extracting its source from a nearby well, this device provides clean water to property owners for the purposes of drinking, bathing, and irrigation. Well pumps maintain a consistent pressure when operating and offer an alternative method to a municipal water supply. In their ability to maintain a consistent pressure, you will experience less clogging in your pipes and drains and receive a steady stream of fresh water without complications. The pumps are tailored to the depth of your well in addition to how much water you use on a consistent basis, making them a highly efficient tool for many property owners. The knowledgeable professionals at Eagle Plumbing & Heating can talk to you about the various benefits of different well pumps, such as jet, centrifugal, or submersible pumps, helping you to choose the best option for your specific requirements. For expert plumbing services in and around Bellingham, contact the certified professionals at Eagle Plumbing & Heating. Call us today at (360) 318-9999.